Philippine Airlines 70th Anniversary Domestic Sale! 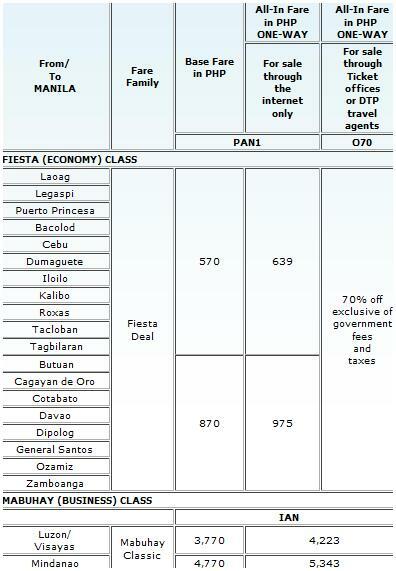 Valid for one way and can be combined for roundtrip travel. Restricted for sales and ticketing in the Philippines. Applicable to web transactions or online booking only. Ticket is non refundable and non-reroutable.